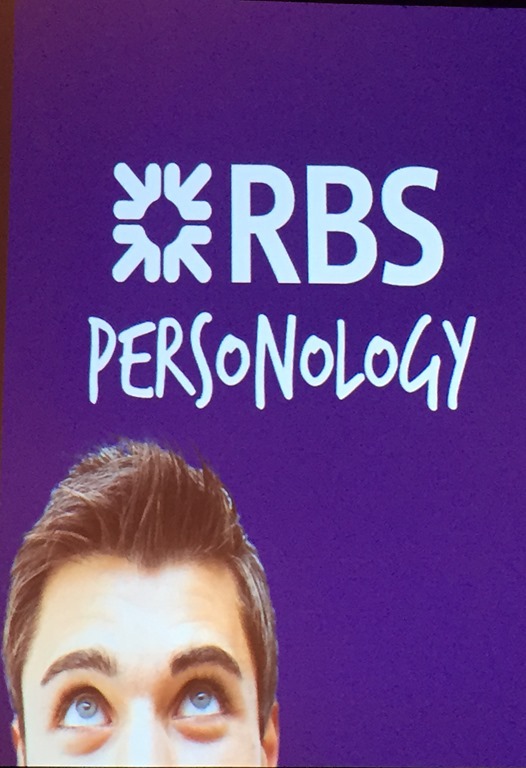 Andrew McMullan, director of analytics and decisioning (aka “personologist”) at Royal Bank of Scotland, gave a presentation on how they are building a central (Pega-based) decisioning capability to improve customer engagement and change their culture along the way. 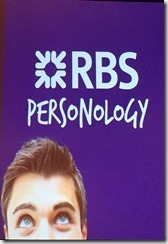 He started with a personal anecdote about how RBS did the right thing for a family member and gained a customer for life – a theme echoed from this morning’s keynote that also included RBS. He showed a short video of their current vision, which stated goals of making RBS easier to do business with, and to work for, in addition to being more efficient. In that order, in case you other banks are following along. RBS is now government owned, having been bailed out during the financial crisis; I’m not sure how much this has allowed them to focus on customer engagement rather than short-term profits, but they do seem to be talking the right talk. RBS uses Pega’s Chordiant – primarily the decision management components, if I am reading it correctly – although are implementing Pega 7 for an August 2015 rollout to bring in more robust Next Best Action capabilities; they also use SAS Visual Analytics for reporting. This highlights the huge role of decisioning as well as process in customer engagement, especially when you’re applying analytics to a broad variety of customer information in order to determine how to interact with the customer (online or IRL) at any particular moment. RBS is proactive about having their customers do things that will save them money, such as renewing a mortgage at a lower rate, or choosing a package of banking services that doesn’t overlap with other services that they are paying for elsewhere. Contrary to what nay-sayers within RBS said about lost revenue, this tends to make customers more loyal and ultimately do more business with them. There was a good question from the audience about how much of this was changes to organizational culture, and how much was the data science: McMullan said that it’s really critical to win the hearts and minds of the employees, although obviously you need to have at least the beginnings of the analytics and recommendations to get that started. Also, they use Net Promoter Score as their main internal metric, which tends to reward relationship-building over short-term profits; having the right incentives for employees goes a long ways towards helping them to do the right thing.